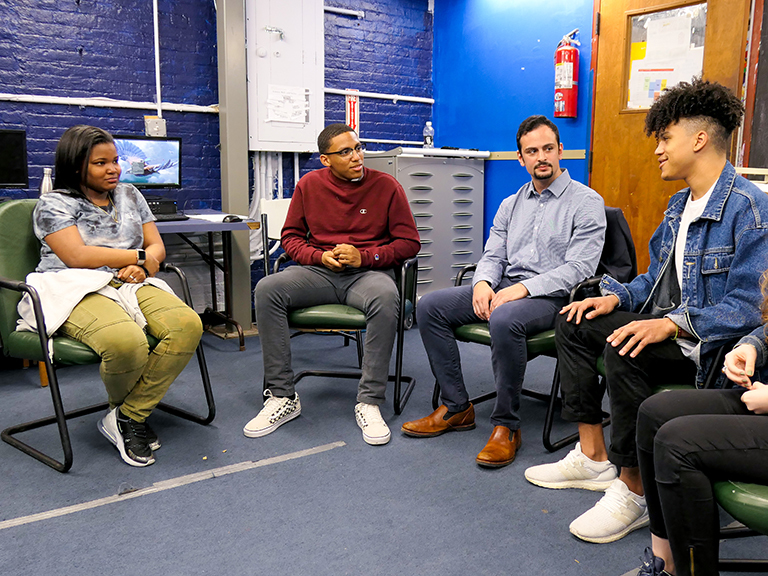 John Abbatangelo ’16 and civil and environmental engineering professors are partnering with The Friends of Van Cortlandt Park to contribute to the Wetland Stewardship for a Healthier Bronx project. While Riverdale’s close proximity to the hustle and bustle of Manhattan is an appealing feature to students, others are attracted to the green space in their backyard. Just across the street from campus, at 242 St. and Broadway, Van Cortlandt Park, New York City’s third largest park, spans more than 1,000 acres and features two public golf courses, wetlands, a brook, the Bronx’s largest freshwater lake, playing fields and more. Recently, Manhattan College, through the Civil and Environmental Engineering Department, forged its first official partnership with The Friends of Van Cortlandt Park (FVCP) to contribute to the Wetland Stewardship for a Healthier Bronx project. As described in a recent proposal to the U.S. Environmental Protection Agency’s (EPA) Environmental Justice Small Grants Program, “The project aims to identify sources of water quality impairments, complete wetland restoration projects, and create a wetland plan by mapping potential sites for green infrastructure to restore the 56-acre Tibbetts Wetlands within Van Cortlandt Park in the northwest Bronx.” The Tibbetts Wetlands include the wetland area along Tibbetts Brook, which starts in Yonkers, and Van Cortlandt Lake. Civil engineering major John Abbatangelo ’16 is playing a key role in this project, working as an intern for FVCP and as a lab assistant for Manhattan’s Civil and Environmental Engineering Department. Each week since December 2015, Abbatangelo, president of the Manhattan chapter of New York Water Environment Association (NYWEA), meets with John Butler, FVCP’s ecological project manager, to monitor the water quality at six sites along Tibbetts Brook and Van Cortlandt Lake, which the Brook flows into. The sites were selected to include pipe outfalls entering the lake, the weir where the lake’s outflow enters the sewer system, and a pipe that drains a salt pile north in the park. One upstream and one downstream site were designated to see the change in parameters across the distance of the stream. The weekly monitoring project has received funding through grants from the National Fish and Wildlife Foundation and currently through the EPA. 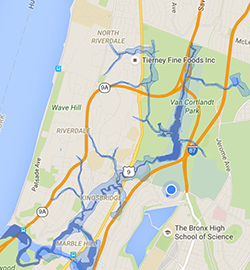 Originally Tibbetts Brook was above ground and naturally flowed into the Harlem River. In the early 1900s, it was decided that the land was too wet for development, so the brook was forced into the sewer system south of the Lake. On an average dry day, 4 to 5 million gallons of water from Van Cortlandt Lake enters the Broadway sewer, and is treated unnecessarily at the Wards Island Stormwater Treatment Plant. Other problems arise when it rains. The stormwater and sewage are fed into the same pipe (called a combined sewer), and, because the treatment plants and pipe can’t handle all the volume, the combined sewer overflow (CSO) flows directly into the Harlem River. Once Abbatangelo’s data is collected, the samples are carried in a cooler and tested in the Manhattan College environmental engineering lab. “The hope is the data will demonstrate further funding needs to make the wetlands healthier,” says Christina Taylor, executive director of FVCP. The data collection will help the daylighting project to demonstrate if the water in Tibbetts Brook is clean or polluted. Because the Harlem River is used for boating and fishing, determining if Tibbetts Brook will have a negative water quality effect is important. NYC Parks, FVCP, the BCEQ and other locations are currently advocating for this initiative. “No one has ever done a continuous weekly monitoring of the Tibbetts Brook,” says Jessica Wilson, Ph.D., assistant professor of civil and environmental engineering. Wilson supervises Abbatangelo’s work in the lab and guides him on best practices to follow. She frequently meets with him to analyze the data and spot any trends. Wilson’s colleague Barrett, a certified Professional Wetland Scientist, initiated a connection with FVCP and BCEQ and has worked with the organization since starting at Manhattan College in 2011 to build a formal relationship. Another Manhattan faculty member, Dart Westphal, adjunct instructor in Urban Studies and a board member of the BCEQ, has remained active in the importance of daylighting Tibbetts. Westphal has lived in the Van Cortlandt Village neighborhood for 29 years and has spent his career focused on community development. He presently teaches Sustainable Cities and Urban Planning, and requires his students from both courses to take two field trips per semester. In particular, his Urban Environmental Sustainability students have detected possible detrimental inputs to the lake, such as the numerous highways in the park, the locations of run-off abatement systems, and more. “The work John is doing will improve our understanding of water quality in Van Cortlandt Lake and Tibbetts Brook, so we can recognize the environmental implications of taking the Brook out of the sewer system,” Westphal explains. In April as part of Manhattan’s Mission Month, Abbatangelo and other student volunteers participated in a wetland restoration project at Van Cortlandt Park. The students removed invasive plants and planted native species in Tibbetts Wetlands. In honor of Earth Day, Manhattan’s Center for Urban Resilience and Environmental Sustainability (CURES) and the department of Kinesiology organized a walking tour of the park. During the spring semester, Abbatangelo, along with FCVP’s Butler, presented the data findings at the BCEQ Water Conference in March, which was held at Manhattan College. In addition in April, he received second place for his poster presentation at the Young Professionals/Fresh Ideas Poster Contest at the New York State American Water Works Association. For the remainder of the summer, Abbatangelo will work on the water monitoring project and plans to continue into the fall as he starts his master’s degree in environmental engineering. 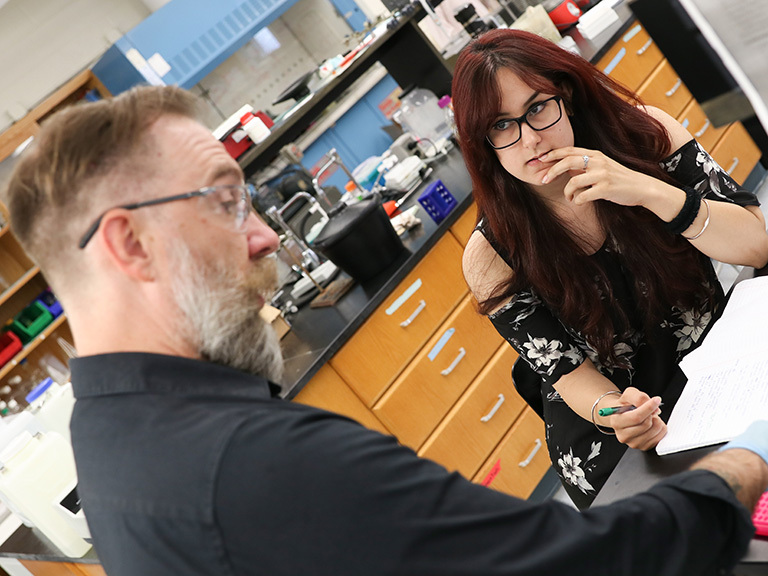 “The hope is to have John continue to take out more undergraduate students, and he always has one or two helping him out in the lab doing the analysis,” Wilson adds. BCEQ, along with the College’s Environmental Studies program, will co-host an event through The New York-New Jersey Harbor & Estuary Program (HEP) on July 13 on campus. The workshop will discuss the needs of the East, Harlem and Hudson Rivers watershed and the greater NY-NJ Harbor & Estuary, and will invite the local community, faculty and students to attend.